Screaming Cherry are a guitar based, female vocal rock band of four players . They play covers ofcontemporary and popular rock artists such as Snow Patrol, Queen, Razorlight, Kings of Leon, Cranberries, Radiohead, Free and many many more. 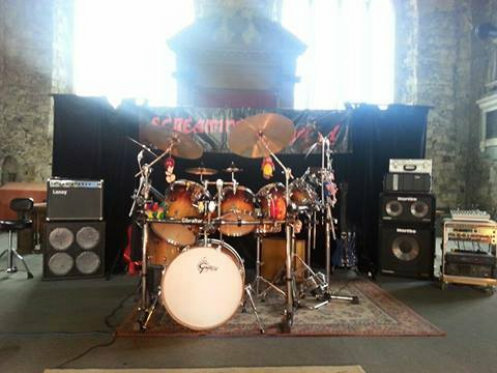 Screaming cherry are ideally suited to pub, club and party gigs, festivals and events. They have a growing following for their forcefull and fresh sound. They are a semi-professional band and carry full PA and lighting rigs. they gig across the south east principally but are approachable on distance.